The Jesus 101 course helps spiritual truth seekers explore the challenges, barriers, and profound blessings involved in following Jesus. Using a group discussion format that encourages hard questions, this 7- week course follows the book, The End of Religion and other resources. Each session begins with a short presentation to stimulate thinking followed by small-group discussions. For those who have additional questions, we have an optional Q&A Free-for-All from 9:00-9:45 PM. 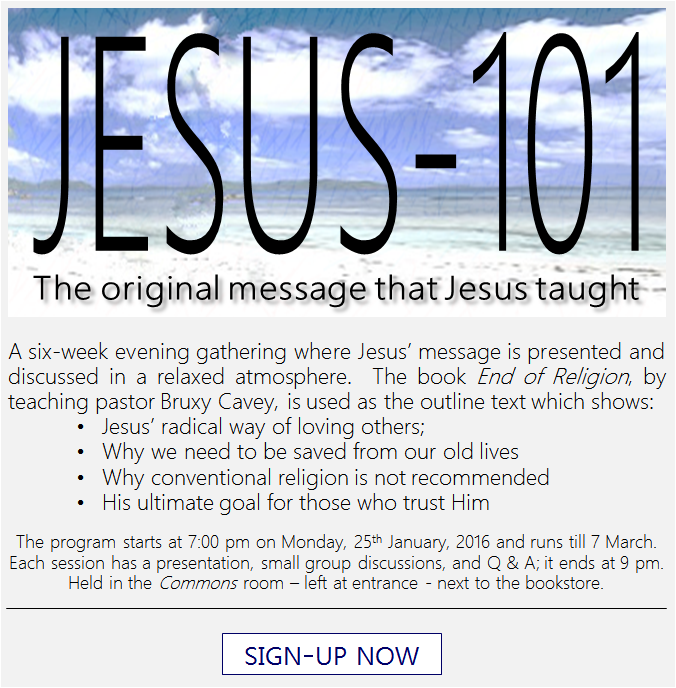 Please sign up for the next Jesus 101 course.